Nationally ranked age group triathlete. Ralph's solution came in the form of doctors who were runners and understood his need to cure atrial fibrillation. A diagnosis of afib in January of 2005 started Ralph's quest for an afib cure. As an active runner, he raced an entire season on what he calls "the dangerous duo", digoxin and Coumadin®. Quit smoking January 1, 1970 and took up running. Digoxin, Coumadin®, and Metoprolol; Cardioversion failed. Impact of Digoxin and Coumadin® on athletes was unacceptable. Got help from doctors who were runners. Mini-Maze surgery in November 2006. Energy and active lifestyle restored and now nationally-ranked triathlete for age group. Ralph explained that digoxin binds potassium, one of the electrolytes regulating the heart, thus slowing the heart rate. This poses a huge risk to marathoners as low potassium, hypokalemia, is a killer, and EMTs monitoring races know to look for it. In addition, digoxin causes fatigue and alters the mind from positive to negative. Then there is the impact of Coumadin®, which is very difficult to regulate. Ralph's EMT certification required ambulance duties and clinicals at emergency rooms during which he handled several patients whose Coumadin® had gone out-of-control. They were bleeding and bruised. He noted that bleeding on Coumadin® is a real problem if you crash on your bike or fall down while racing. He describes training and racing while on the dangerous duo with just a single word — terrible. During this difficult season, he couldn't even complete a 10K without walking most of it. Most doctors seemed reluctant to help with his afib, and said "just learn to live with it." That wasn't acceptable. He says, "This drug duo is dangerous to athletes, especially clumsy ones like myself — I sometimes trip on my own shoelaces." Thus, he had a cardioversion in March of 2006, though he was unaware of any athlete for whom cardioversion had been successful. As predicted, it failed, so he was still on the dangerous duo. Ralph needed a solution, but was told that catheter ablations didn't work. 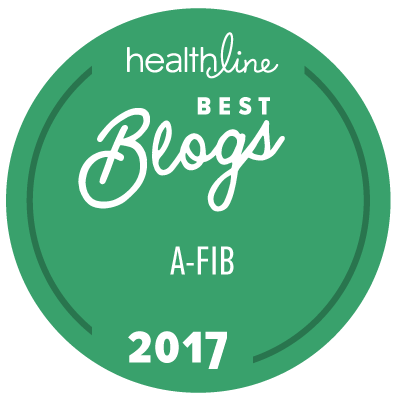 In the meantime, he continued to research afib on the Internet and learned about Mini-Maze surgery. Then, his brother near Lubbock sent him an article about Dr. Burt Fowler, a Lubbock surgeon who performed Mini-Mazes and also happened to be a marathoner. Dr. Fowler understood why Ralph needed a cure. Ralph's cardiologist referred him to Dr. Cesar Nahas in nearby Clear Lake, Texas. Dr. Nahas had the tools for Mini-Maze surgery and had observed Dr. Wolf do the procedure. Ralph's Mini-Maze surgery on November 17, 2006 was the first of its kind in the Houston area, and Dr. Fowler, the marathoner, came from Lubbock to proctor Dr. Nahas. The surgery was very successful and now Ralph is running better and better. It took six weeks for scars to form, but you can go back to normal activity within a few days. Curing afib eliminated Ralph's need for the dangerous duo, digoxin and Coumadin®, and restored his incredibly active lifestyle. Many of us who are much younger than him wish we had that kind of energy. He and his wife, Gaylene, do the 180-mile bike ride from Houston to Austin each year to raise money for MS. His busy triathlon season runs from May to October and in a single week in May he did the Silverlake Pearland Triathlon (400 meter swim, 10 mile bike, 5K run) and the Combat Triathlon (300 yard swim, 17 mile bike, 5K run). Whew! For Gaylene's 65th birthday, they did the half marathon across the Golden Gate Bridge, and he plans to do the Disney World Half Marathon next January, with countless more events in between. Ralph says "Without this surgery, I couldn't have the active lifestyle I now enjoy."